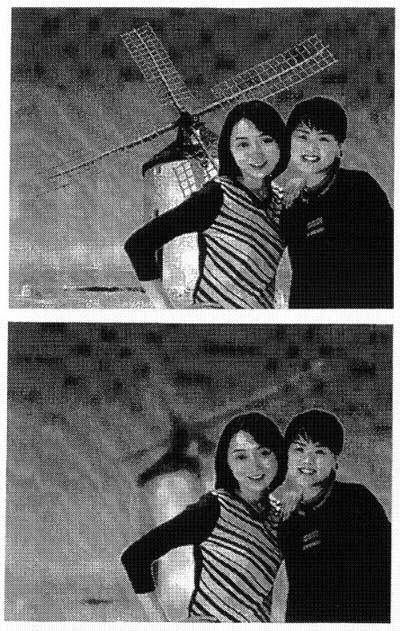 The blur detecting section detects degree of blur of an image of the second region of the image of the photographic image data. The blur enhancement section performs blur enhancement processing on the image of the second region to enlarge the degree of blur of the image after image processing in proportion to the magnitude of the detected degree of blur of the image. 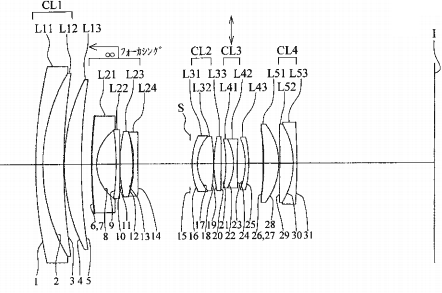 There is a lens barrel that drives a first lens and a lens barrier independently on an optical axis. This lens barrel alters relative positions of the lens barrier and the first lens between a retracted state and a shooting state. 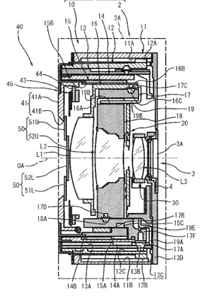 That is, in the retracted state, the first lens is withdrawn toward the image side in the optical axis direction such that the lens barrier can close, and in the shooting state, the first lens is moved closer to the lens barrier such that a larger angle of view may be provided without the overall external diameter of the lens barrel increasing. 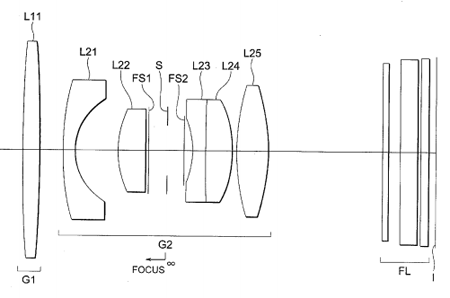 In recent years, in order to further widen the angle of a lens, a mechanism has been employed that, in the shooting state, projects a first lens forward in the optical axis direction beyond a position at which the lens barrier is disposed. 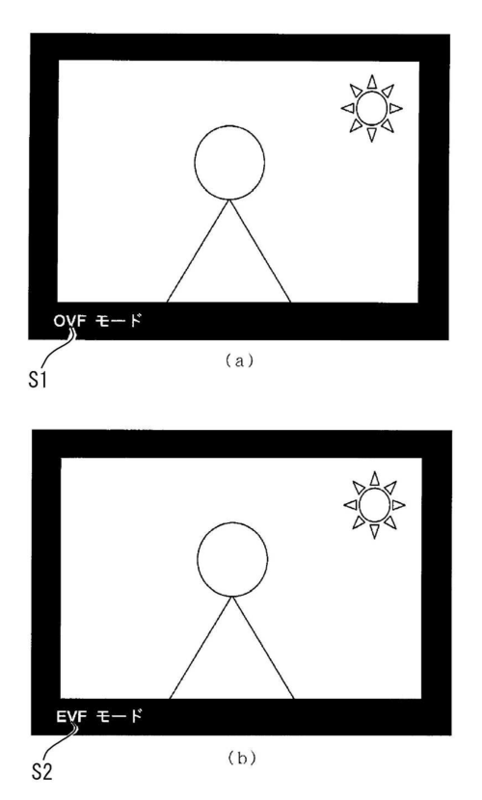 However, with this mechanism, when the lens barrel is switching to the shooting state, if, for example, the lens barrier is pushed against by an external force and the lens barrier does not open, the first lens (optical system) comes into contact with the lens barrier, and the lens barrier and the first lens may be damaged. 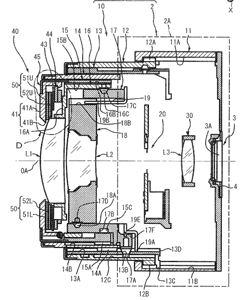 Nikon has filed several different hybrid viewfinder related patents in the past.